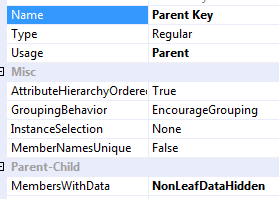 To eliminate it we need to set the MembersWithData property to NonLeafDataHidden. Let’s create a fact table, then see how it looks in Excel. 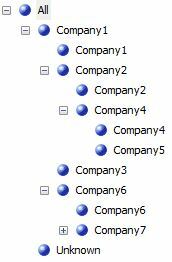 Company 1 is the parent of both Company 2 and 6. In the example below we want to update 29th March data based on 30th March. In Dimensional Modelling, one way of storing history of the attributes is using SCD 2 or 3, or 6 (1+2, or 1+3). And to store the history of measures we use snapshotting. One of the questions that people ask me in 3NF warehousing is: In 3NF how do we store history? Let’s look at the case of Health Care industry: a surgery with 5 GPs and 100 patients. GP = General Practitioner = doctor. Some patients have been with the surgery for 45 years, some only 1 week. Some patients visited the surgery 20 times a year, some only once every 3 years. On each visit the GP made a record of the patient situation/symptoms (or not), a diagnosis (or not), and a prescription/treatment (or not). So how do we store the patient historical data, such as previous address and telephone number? A common method is to store it on another table with identical structure, plus a few “system” columns. This table is known as “audit table”, as when it first came up (probably 20-30 years ago) it was used for audit purpose. So, before the record was changed, the whole record was copied to the audit table first. One of those “system columns” is the date when the record was copied. Another “system column” is an FK which links to the main patient table’s PK. This is usually created using a trigger or CDC software. SQL Server 2008 has CDC built-in. But, in 3NF we always have multiple entities. And they are related to each other. And they all have historical data. Now, imagine if you have 20 tables. It will be indeed like spaghetti. And in reality we have 50 even 100 tables, each one with its history table. 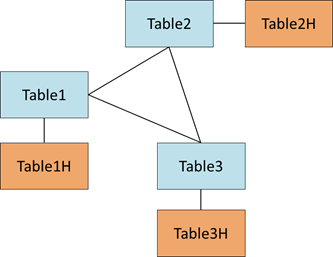 Each table is related to 1 to 5 other tables. Messy. Only add history table to the tables which really require it, not all of them. Not having the main table, but put the main table inside the history table. As I said, not every table are historised. In the above diagram, table 3 is not historised. Only table 1 and table 2 are. Note that now we don’t need to link the history table back to the main table. The history tables themselves are linked, and we have no main tables. Notice that the Audit ID and the Date Created are shifted 1 row down. To make this table acts like the main table, we use the Active column. Without the Active column we will have to find the max(Date Created) first for each Patient ID, then do a self-join back to the same table. This causes query performance issues. This is very similar to Kimball’s concept of SCD 2. And how do you join between these tables to query the data? 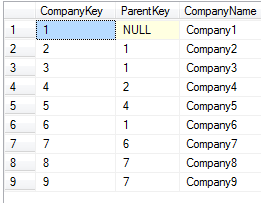 To get the current data, filter each history table with Active = Y, then join on the main PK (i.e. in the above example, Patient ID). Let the above query be ZZZ. 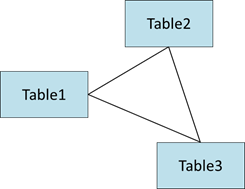 Step 3: Do the same self-join on each table that we want to query. 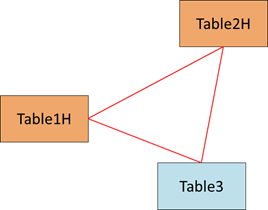 Step 4: Join all the tables on the PK-FK relationship. And how do you update the data? 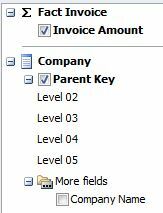 Step 2: Insert the new row, with Audit ID = identity (incremental sequential number), DateCreated = today and Active = Y. Put it in a separate dimension, with a dim key in the fact table. Put it in a “status fact table”, which is an accumulated snapshot. Leave it in the dimension table as type 1. Leave it in the dimension table as type 2. Case 1: The application was received 7/3/11, credit scoring passed 9/3/11 (2 days), application approved 10/3/11 (1 day), credit limit determined 14/3/11 (2 working days), card issued 15/3/11 (1 working day). Case 2: The application was received 7/3/11, credit scoring failed 9/3/11 (2 days), and application rejected 10/3/11 (1 day). The queries are about how many days passes (on average) between status 4 (app approved) and status 6 (credit limit determined), etc. How many apps are currently at status 1 (app received but not scored yet)? The best way to store the dates is to have accumulative fact table, as per option 2 above. As always there are pluses and minuses of each approach. The weakness of number 2 is that the number of statuses is fixed. Leaving it as type 2 (option 4 above) does gives us the history (what status and when) but the query is more horrible / difficult, in comparison to option 2. Putting it into separate dim does resolve the “rapidly changing attribute” issue, but doesn’t give us the management of dates and statuses. When you are doing accumulative fact table, consider creating indicator/flag columns out of 1000 apps in the process (status = 1,2,3,4,5 not 5 or 7), how many of them are on status 1, how many are on status 2, etc? Also consider creating a column called current status. This is a must have in most situation. Useful to answer queries like, how many of status 6 do we have now? Who are they and what are they break down by … etc. As usual I welcome any comments and discussion at vrainardi@gmail.com. Vincent 17/3/11. Was any “date” part of the grain? If so there could be an argument to break half of it (the measure columns) into a fact table, as this means there would be 2 dim key columns in the fact table: the main dim key and the date key (not only 1). There could be an advantage for ETL: we could truncate-reload the measures without affecting the dimension. And vice versa, we could treat the attribute as, for example, SCD 2 attributes, without affecting the measures. As usual I welcome comments and discussion at vrainardi@gmail.com. Vincent 16/3/11. In dimensional data warehousing, the word “Fact” in means a measure, i.e. a single numeric column. The word “Fact Table” means a database table or view that contains the Fact or Measure columns. Above are what Ralph Kimball and Margy Ross used in their Toolkit book (link). Lately, I heard people use the word “Fact” to refer to a fact table. For example “A fact has measures”. I’m not saying it’s wrong, as people can term it as they like. I’m saying that it is not standard. I put a post here so that the community is not surprised when you heard the word “Fact” used in that way. The Phone Number column above is an example of a multi valued attribute. It can have more than 1 value. Another example for DimCustomer is interest. In a travel company, one customer can have several interests, which could be captured in an online survey. Examples of multivalued attributes in the Product dimension are colour and size, e.g. The Colour column above is an example of a multi valued attribute. It can have more than 1 value. Same with the Size column. An example of a Multi Valued Dimension is given by Ralph Kimball and Margy Ross in the Health Care chapter of their Toolkit book (page 263 chapter 13 on the 2nd edition): Diagnosis dimension on the Billing Line Fact Table. For each fact row there could be more than 1 diagnosis. 99% of the time, when this happens, we remove that dim from the fact table, because the grain does not suit the fact table. However, as Kimball and Ross said, it is sometimes useful to keep them in the fact table. But this article is about Multi Valued Attribute, not Multi Valued Dimension. There are several approaches to deal with a dimension with a multi valued attribute. But in many cases we are not able to do this, because the fact table requires that the product dimension is at Product Code grain. For example: we don’t have the sales information per colour and size, but only by product code. You could argue that if the sale is for product B, we could put ProductKey 2 or 3, doesn’t really matter which one. But this gives the wrong impression that we know the colour or size. In most cases, we don’t have the allocation information (as in, if it is 50-50 or 30-70), we only know that product1 has 2 manufacturers. Whereas the disadvantage, in comparison to approach 1 & 2 is: we need “more join” as there are more tables. If the number of attributes is small and fixed, this is by far the most popular approach to handle Multi Valued Attribute, i.e. in the case of DimCustomer above, have Phone1 and Phone2 columns. I said “if the number of attributes is small and fixed”, i.e. 2 or 3. But if the number of attributes is large (e.g. >10) or if it’s variable (e.g. sometimes 2, sometimes 20), approach 2 and 3 above are more popular, and more appropriate. We can’t really do this, as it is 1 to many (1 row in the main dim corresponds to many rows in the sub dim). 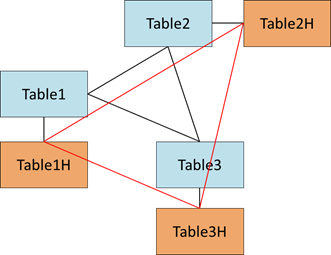 So we need a bridge table, which brings us back to approach 3.
e.g. “01223 111111, 1223 222222”. This is a crazy idea, I know, but there have been talks about it in the DW practice. Not only talks, I’ve seen it implemented too! It is more flexible than having several columns (approach 4) and simpler than approach 3 or 2. So if the purpose of the attribute is “display only” or “information only” on a report (rather than analyse or slice & dice), there is an argument for using this approach, particularly if the number of attributes is small (e.g. 1 to 4). As usual I welcome suggestions and discussion at vrainardi@gmail.com. Thank you for reading. Vincent 13/3/11. Revised for minor corrections 1/4/11. One of the most frequently asked questions in dimensional modelling is “when to snowflake”. Everybody talks about “when not to snowflake”, but “when to snowflake” is very rarely discussed. It is a general consensus in the data warehousing world that we must always use star schema for the presentation layer, but as with everything else in the world, there are always two sides of it. Sometimes more than two. In this article I will not go through (at all) about “star vs snowflake” arguments. There are many web pages and books explaining this. I’m going to jump straight to “when do we snowflake”. I’ll go through one by one. As usual it is easier to explain & learn by example. 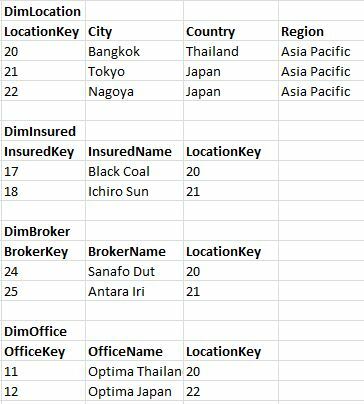 Example: In insurance data warehouse, the City-Country-Region columns which exist in DimBroker, DimPolicy, DimOffice and DimInsured, could be replaced by LocationKey pointing to DimLocation. Some call it DimGeography. This gives us a consistent hierarchy, i.e. relationship between City, Country & Region. Whilst the advantage of this approach is consistency, the weakness of this approach is that we would lose flexibility. 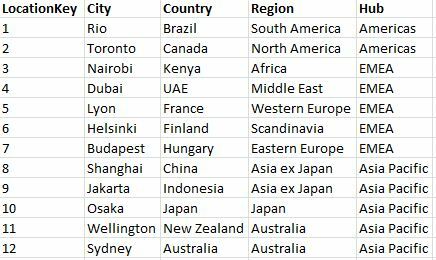 For example, in DimOffice, we could have 3 hubs (EMEA, America and Asia Pacific), not 7 regions used by DimBroker, DimPolicy & DimInsured (North America, South America, Africa, Europe, Middle East, Asia, Australia). It is a common understanding that the relationship between City and Country are more or less fixed, but the grouping of countries might be different between dimensions. If we put City, Country & Region in each of the 4 dimensions, we have the flexibility of each dimension having different hierarchy. In the DimOffice case we above have 2 options: a) put the City, Country, Region in DimOffice, or b) have 2 different attributes in DimLocation: Region and Hub. Some people go for c) create DimOfficeLocation, but I don’t see the point if this dim is only used in DimOffice, might as well unite them with DimOffice as per approach a). Other examples of this case are: a) DimManufacturer and DimPackaging, used by several product dimensions in a manufacturing data mart, b) DimEmployee in Project data mart, and c) DimCustomer in a CRM data warehouse, d) DimBranch (some call it DimOffice) in Retail Banking warehouse. I’ve heard a few discussion about DimAddress, which like DimLocation is used by DimOffice, DimCustomer, DimSupplier etc (Retail mart), but usually the conclusion was it’s better to put address attributes (street, post code, etc) directly in the main dimension. Sometimes the designer use hybrid approach, i.e. they put the attributes both in the main dim and in the sub dim. Again this is for flexibility reason, particularly if the sub dim is used directly by several fact tables (see below). A classic example of this situation is DimCustomer, when an account can only belong to 1 customer. DimCustomer is used in DimAccount, and is also used by the fact tables. Other examples are: DimManufacturer, DimBranch, DimProductGroup. In the case of DimProductGroup, some fact tables are at product level, but some fact tables are at Product Group level. Hence we need both DimProduct and DimProductGroup. The option here is a) put the product group attribute in both DimProduct and DimProductGroup, or b) snowflake, i.e. DimProduct doesn’t have Product Group attributes; it only has ProductGroupKey. The classic examples of this case are: Insurance classes or LOB (line of business), Retail Banking account types, Attributes for different Product Lines, and in Pharma we have Disease/Medicine categories. Insurance policies from insurance classes or LOB (e.g. marine, aviation, motor, property) have different attributes. So we pull the common attributes into 1 dimension called DimBasePolicy and the class-specific attributes into DimMarinePolicy, DimMotorPolicy, etc. LOB is a US market term, whereas Class is a Lloyd’s term (London market). Similarly, in retail banking we have DimBaseAccount, DimSavingAccount, DimMortgageAccount, DimCurrentAccount, etc. In investment banking different asset classes have different attributes. The alternatives of this design are: a) have one generic detail dimension, with 100 attributes from different categories, b) a normalised version with 4 columns or so. Approach a) would be very wide and sparse because (for example) Marine rows only use Marine attributes, etc. But it is easier to use than the “base-detail” approach. Approach b) would be in-query-able (is that a word?) and difficult to use/join. A date attribute (e.g. 2011-03-11) is often analysed by Month, Quarter or Year so if we have MaturityDate, EffectiveDate and CancellationDate in the dimension and the business needs to analyse each of them by Week, Month, Quarter, Year then we would need to have 12 attributes in the dim for this. 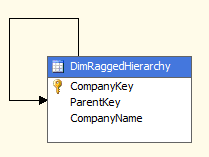 By replacing the date attribute with the date key, we could analyse the date by any attributes in the date dim. In this case I’d recommend to use a smart integer date key rather than a surrogate date key, e.g. 20110311 rather than 12345. It is more user-friendly, it would still have meaning if you don’t link to DimDate. The smart date key is a generally accepted exception to the Kimball rule of surrogate key. Reply to Jacob’s 2nd comment, 25 September 2013 @ 4:39 pm (I put it here as I can’t put pictures in the comment section). In scenario 1, we have the flexibility of grouping the countries in 3 different ways, i.e. in DimInsured Thailand is in APAC ex Japan region, in DimBroker Thailand is in Asia Pacific region and in DimOffice Thailand is in Asia region. In scenario 2, we don’t have that flexibility. Thailand is always in Asia Pacific region. 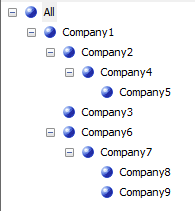 This is good for consistency of regional grouping across the company. 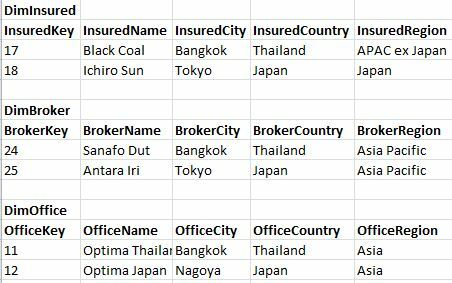 If we want to create this flexibility, we can create 3 columns in DimLocation: InsuredRegion, BrokerRegion and OfficeRegion. Let’s call this scenario 3. In scenario 3, Insured, Region and Office can have different regions. The advantage of scenario 3 over scenario 1 is that the relationship between city and country is centralised in one place. Whereas in scenario 1 the relationship between city and country are located in 3 different places. We have 3 types of Territory (Supply Territory, Sales Territory, Service Territory), 3 types of Region (Supply Region, Sales Region, Service Region) and 2 types of Division (Sales Division, Service Division). In this scenario, it is better to put the City, Territory, Country, Region and Division in DimSupplier, DimSalesperson and DimService. A hub is a grouping of region, i.e. A SubDim (sub dimension) is a table attached to a main dimension. Please see my SQLBit Brighton presentation about dimensional modelling here, about “1 or 2 dimensions” (page 5 to 8) and “when to snowflake” (page 9 to 11). You are right that DimLocation can be a subdim (attached to DimBroker), or a main dim (attached to a fact table). One of those cases is accumulating snapshot fact table, with the grain equals to the main dimension. Consider the mortgage status fact table above, which enables us to monitor closely the number of working days it took for a mortgage to progress from one stage to another. If the grain of this fact table is 1 row for each mortgage account, it make sense to make the mortgage account key as the primary key of the fact table, not by creating a surrogate fact key instead. Creating a surrogate fact key is not necessary because only one dimension key column in this fact table determines the granularity of the fact table. The need for a surrogate fact key arises when there are more than one dimension key columns determine the granularity. In my opinion, the answer is yes (identifying), because some accounts may not be in the fact table. Cancelled accounts, for example. This also guarantees that all the account keys in the fact table are valid. In the fact table we should not have 0 (unknown) account key. The warehouse load (ETL) should check this, in addition to the FK constraint.